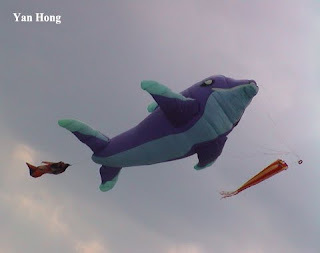 The 2010 Malacca International Kite Festival was successfully held from January 30 to January 31. 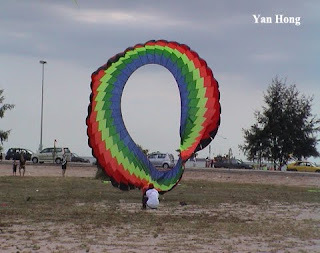 The venue for holding this kite festival was at Kota Laksamana, Malacca. 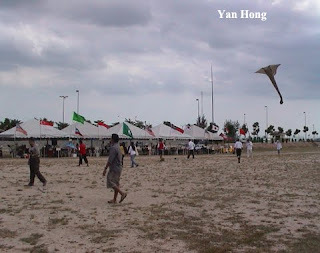 It was organised by the West Malaysia Kite Association. The Malacca International Kite Festival had received warm response from local and foreign kite enthusiasts. There were dozens of kite lovers involved in this prestigious festival. Base on the festival brochure, the participating countries and regions including Malaysia, Thailand, South Korea, Japan, Macau, Taiwan, Vietnam, China, Indonesia, India and Austria. There are multiple forms of kites flown. 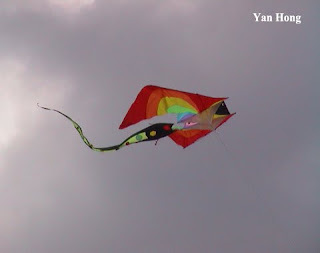 The unique kites varied in shapes, sizes and colors. Public were fascinated by the fantastic kite flying skill shown by the kite flyers. Hopefully, all the participants from foreign countries brought back their sweet memories and come to Malacca again next year. Those are beautiful kites. I've never seen the event but I've been to Malaysia for our outbound call center business trip. A very nice place and the people are nice to just like in the Philippines.